Paddy Bingo has closed & is now Clover Bingo! 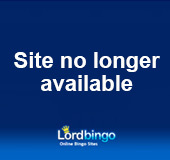 As of September 2014 Paddy Bingo closed, changed its name to Clover Bingo and transferred its domain to cloverbingo.com . Paddy Bingo players can still use their Paddy login name and password at the new Clover Bingo domain name. They'll also receive a FREE £5 just for the hassle. To read the Clover Bingo review go HERE.